That's a lovely shot of the spider's web Misty. What a perfect web. I always seem to find them broken :( They are not the easiest to capture either - nice work! 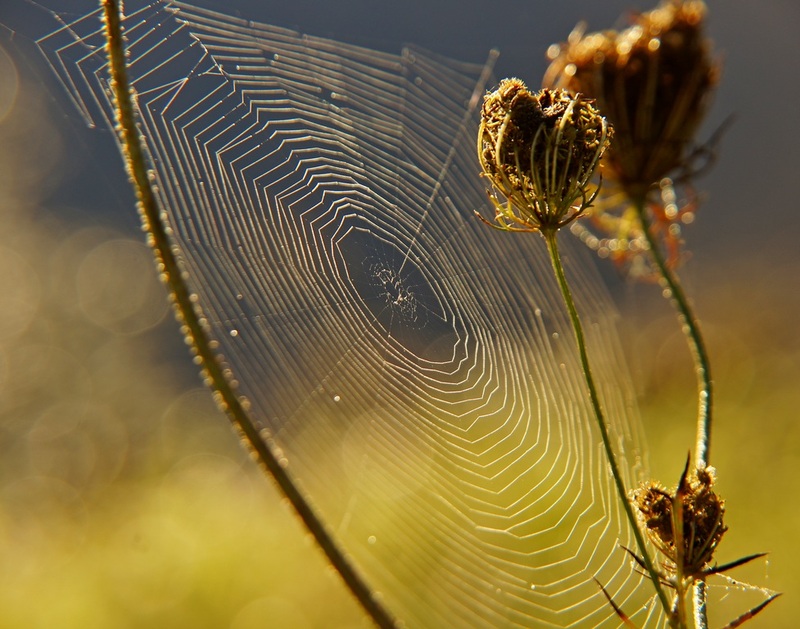 Wonderful shot of the web and flowers. I just love how intricate webs like this are and they are indeed hard to photograph so well done. Misty - so beautiful!!! :) I love the lighting playing off the web.